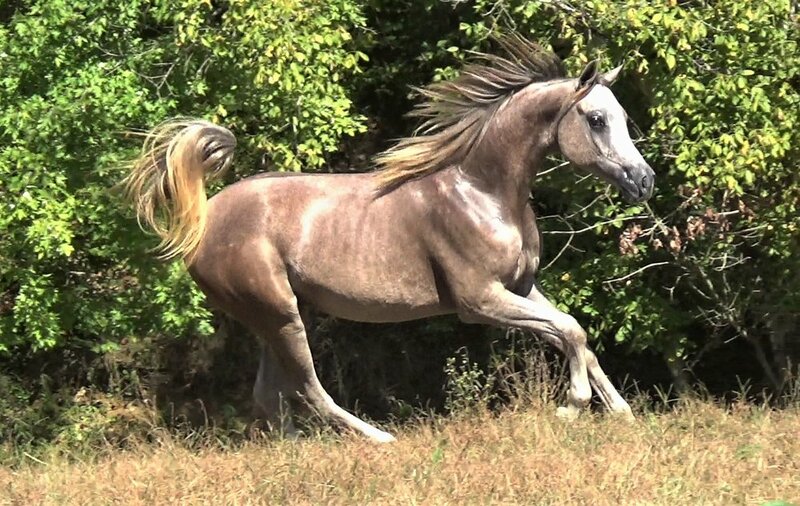 Royal Shah is a beautiful Purebred Arabian Gelding. At one year of age, this guy already exudes great quality, lovely movement, and good size. He will have all the qualities that it takes to be a knockout performance mount. He has a long, nicely curved neck with a well-shaped poll, correct legs with solid bone, a smooth body with a refined head and good eye. 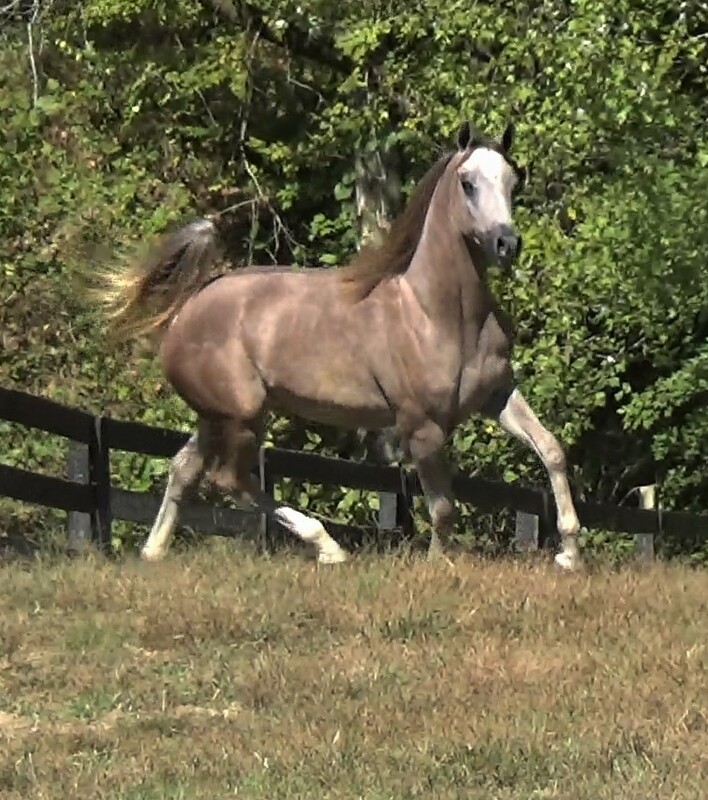 Roy has the beauty to compete in halter classes and would also be a contender in sport horse in hand. The best of both worlds halter and performance. A complete package of beauty, brains, and brilliance. 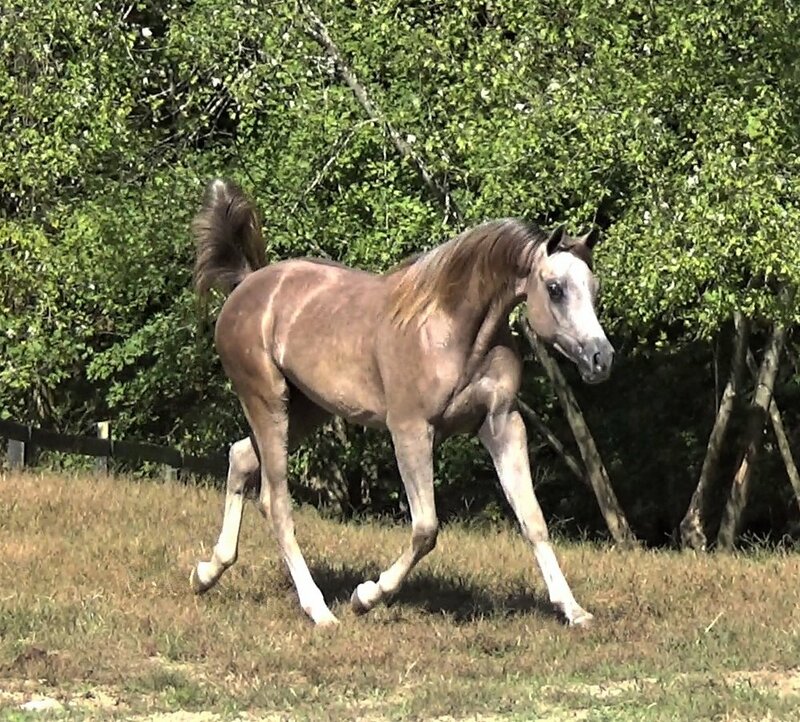 Roy is sired by TF Royal Shahbaz by Falcon BHF. His dam is VA Bold Marquis, who has many lines to Bask and The Real McCoy. A pedigree full of pretty and athletic horses and boy does it show up in Royal Shah. He shows the beauty as well as the athletic prowess of his great heritage. Roy is a very well mannered boy. He has been shown in hand and won money in the KAHABA Program. He has been over all the trail obstacles and is a smart, willing and confident boy. He loads, hauls and stands for the farrier. Clips and bathes with ease. UPDATE - Just won both of his KAHABA Production Classes at the 2 Fall Shows, named Champion Gelding and also won his In Hand Trail Class. 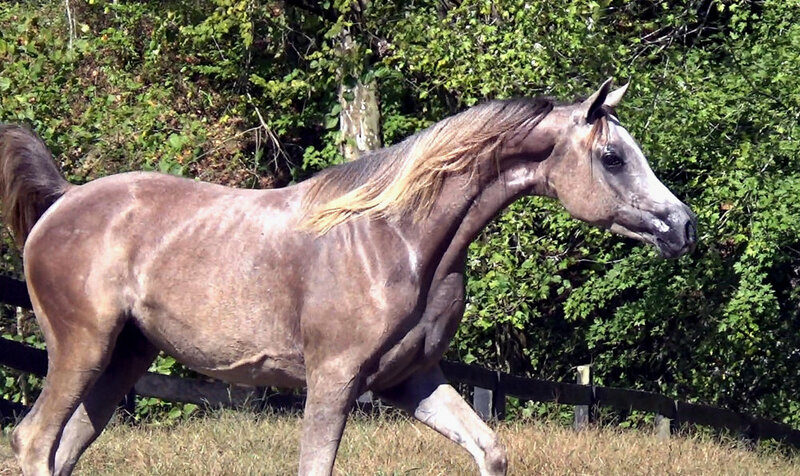 Much more than a pretty face, he has the brains and versatility that a good Arabian is known for.